It's about to get all MMO-y up in Harran. By this point, plenty of Dying Light players have fully taken it to the zombie-laden streets of Harran. The main quest (and DLC) are probably long since completed, and those dedicated gamers are left with little more to do than twiddle their thumbs and make up their own games for entertainment, like "Soccer, but with a Zombie Head", "Zombie Tag", "Name that Zombie", and "Basketball, but with a Zombie Head". Luckily, Techland planned for just such an occasion. 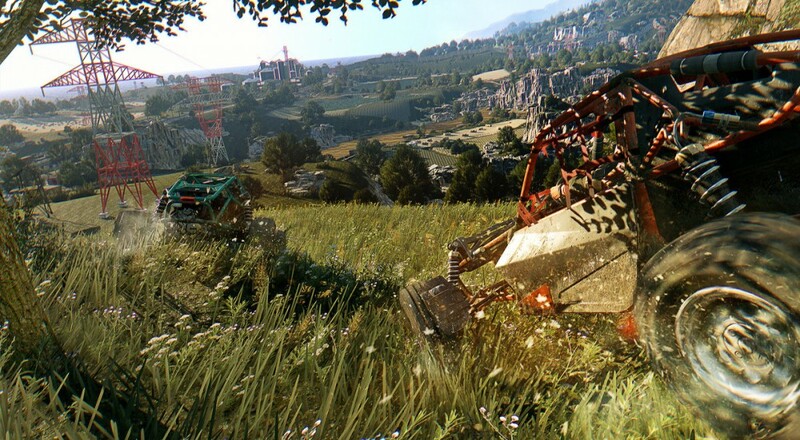 On February 9th, both Dying Light Enhanced Edition and "The Following" add-on will become available to the masses, with the former featuring better AI, graphics, and all of the previous DLC packs the game has to offer, and the latter offering a brand new map and storyline to explore (Enhanced Edition also includes "The Following"). Alongside those, the developers will be adding "Bounties", which are available only after you beat the main storyline and come in three forms: Basic, Dailies, and Community Challenges. The basic bounties seem like they'll match up pretty smoothly with your standard MMO daily quests: go here, kill this, come on back. The daily bounties, however, contain a bit more meat, featuring objectives markedly more unique than "I need twelve like, Fantas or... whatever." Community challenges will feature a more overarching goal for the, well, community to contribute to, with rewards being doled out only if the players manage to work together toward a common goal. Overall, it seems like a pretty neat way to keep players invested in the end-game. Dying Light came out around this time last year, so being able to hold onto a community for this long without having "MOBA" in your Steam tags is a lofty accomplishment. In case you're interested in picking up the Enhanced Edition, check out our review of the original game here.